If there was an exercise in hitting a moving target, it’s capturing the fast moving brewing scene of Northern California. At least a couple new breweries are popping up each month, with hundreds of new beers being released annually, and many breweries are upgrading their facilities to include tasting rooms and brewery tours. If there’s anyone up to this task, it’s Jay Brooks who’s been part of the Northern California brewing community since the mid-80’s. The result is the book, “California Breweries North” a compendium of 161 of the regions breweries as well as a few extra tidbits of Northern California brewing history and lore. Books like these can be as tedious to read as a phone book, but that isn’t the case here due to Brooks’s intimate knowledge and obvious enthusiasm for the subject matter. Brooks introduces each brewery with a summary of it’s history and shares his experiences of what each place is like to visit. He lists each breweries beer line-up and tells us his favorite from each brewery. Also included are facts like the name of the owners, brewing system, annual output, hours, amenities and tour information making it a great resource book on the Northern California craft beer industry. I have no idea how many miles were logged in the writing of this book, but it’s clear Brooks has personally visited virtually all of them and quite a few several times. Something tells me Brooks would have travelled to all these breweries even if he never got paid for it. As he relates in the introduction, “I love the simple pleasure of visiting a brewery and drinking its beer, listening to the brewer talking reverently about how and why he made each beer. There’s nothing quite like sampling beer at the source, seeing the gleaming copper and stainless steel brewing equipment.” Brooks encourages you to take the same pilgrimages to these places and share the same experiences. So how effectively does he do this? Looking up the entries of places I’m familiar with like Half Moon Bay Brewing, Rock Bottom-Campbell, Los Gatos Brewing Company, El Toro, and Dustbowl Brewing, I found Brook’s accurate descriptions and careful observations brought me back to each place. I also appreciated learning more about the history of these places. 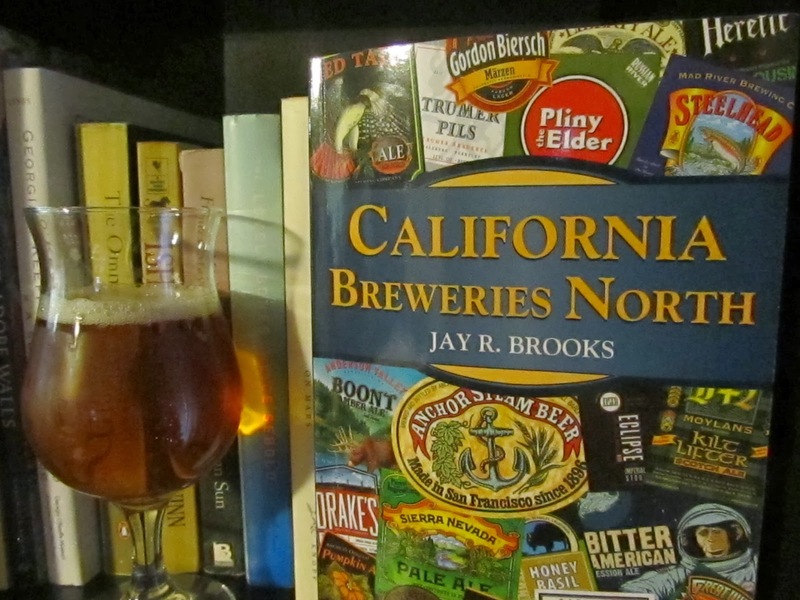 So I expect to carrying a well worn copy of “California Breweries North” in my travels discovering more of the great breweries of Northern California. Anyone who wanted to further explore the Northern California brewing scene, or simply learn about all the great breweries here, would greatly benefit by picking up a copy.